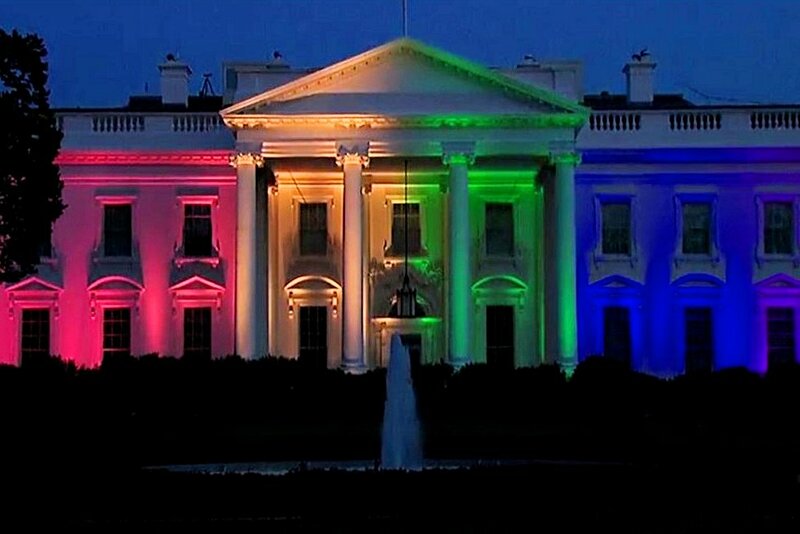 Maybe Obama will light up the White House for the Pope. “President Obama will apparently test just how far Pope Francis’ notorious tolerance will go by inviting a rogue’s gallery of people opposed to Catholic teaching to greet the pontiff at the White House during his visit next week. Mateo Williamson, … former co-chairman of the Transgender Caucus for Dignity USA, has also received an invitation to the White House for Pope Francis’ visit. Hat tip to the Chris Salcedo Show. Several days after Obama’s invitees to the papal visit were announced, the Gateway Pundit relayed accounts of ISIS throwing homosexuals off of tall buildings. As shown by the tweets below, not only did the ISIS leaders carry out the execution of the gays, but crowds turned out for the event.